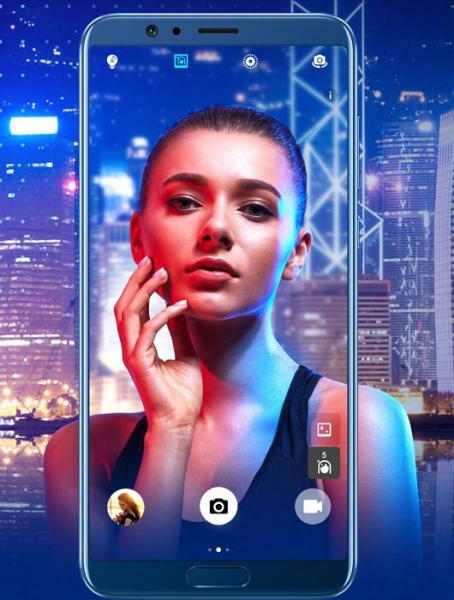 Honor View 10 is the global version of Honor V10, launched in China couple of weeks back. Powered by Artificial Intelligence and a cutting-edge Kirin chipset, it challenges formidable rivals. Starting 8th January 2018 you can purchase it exclusively on Amazon India. To entice VFM flagship seekers, it’s smartly priced at Rs. 29,999. Honor View 10 comes in two color options i.e. Midnight Black and Navy Blue. At this price, it has several adversaries like Xiaomi Mi Mix2, Nokia 8 and even LG G6. However, the most venerable of all is the OnePlus 5T. But before we begin, it is crucial to know that the predecessor of Honor View 10, the Honor 8 Pro was at loggerheads with the OnePlus 5. Let’s deep dive into a thorough comparison of both the devices to see which one is the vanquisher. For starters, both come with the voguish bezel-less design i.e. Edge to Edge display with the 18:9 aspect ratios. Honor View 10 flaunts 5.99 inch IPS LCD display with a resolution of 2160 x 1080p and 403 PPI. To recall, the Honor 8 pro fancied a Quad-HD resolution display. “Ohh Honor is it a downgrade”. On the other hand, OnePlus 5T comes with 6.01-inch Optic AMOLED display and has a resolution of 2160 x 1080p with 401 PPI. It even has the Corning Gorilla Glass 5 protection. Noticeably, the Honor View 10 comes with a fingerprint scanner and home button below the display. Contrastingly, OnePlus 5T has it at the back-side like most bezel-less phones. I prefer the front fingerprint scanner, it is more convivial to use. In fact, you don’t need to lift the phone from the table to unlock. The design on both devices is exquisite, a metallic build with 2.5D curved glass covered front. We can toss-up to decide the which is better looking. The rear cameras on the View 10 are bulging like tiny binoculars while the OnePlus 5 conceals them like a Ninja. Moreover, the Honor View 10 weighs 172 grams and is 7 mm thick. Whereas, OnePlus 5T weighs 162 grams and has 7.3 mm thickness. Powering the View 10 is the in-house processor HiSilicon Kirin 970 and the Mali G72 GPU. Also, it employs AI focused Neural Processing Unit (NPU). The Neural Processing Unit allows artificial intelligence to offer some neat features. 1). Intelligent screen rotation lock prevents the screen from rotating when you are lying down. Usually, we have to manually toggle the screen rotation off. 2). Improves call quality by isolating the background noise. The AI is still in nascent stage and may take months to have more beneficial features. On the other side, OnePlus 5T draws power from the blazing fast Qualcomm Snapdragon 835 Processor and the Adreno 540 GPU. The Snapdragon 835 and Kirin 970 are based on the 10 Nm manufacturing process, thereby offer better energy efficiency and battery life. Also, both phones come with 6 GB of RAM. Below is the benchmark comparison, showing neck-and-neck scores. Currently, these are the best processors on any Android phone available in the world. And there is no precedence of any device concerning performance. Next, Honor View 10 offers 128 GB internal storage expandable up to 256 GB via Micro-SD Card. Whereas, OnePlus 5T comes with only 64 GB internal memory without any option to expand the storage. The Dual cameras are ubiquitous. Honor View 10 sports Dual Real Camera Setup with 16 MP RGB Sensor + 20 MP Monochrome Sensor. Additionally, it has a f/1.8 aperture for low light imaging. Furthermore, the AI allows to detect scenes and adapt the images accordingly. Also, for selfies, it has a 13 MP Front camera that can even click selfies in portrait mode (not available on 5T). On the other side, OnePlus 5T packs 16 MP + 20 MP Dual Cameras with EIS i.e. Electronic Image Stabilization. For beautiful selfies, OnePlus 5T has 16 MP front facing camera that can click sharp, detailed images but lacks the portrait selfie mode. Moreover, the low light imaging is better on the Oneplus 5T. Camera specs aside, the Honor View 10 offers better dynamic range and richer colors than Oneplus 5T in some scenarios. Contrastingly, the Oneplus 5T has an advantage in low light imaging and also shots are more detailed. However, the View 10 portrait selfie mode is a remarkable feature. Moreover, the OnePlus 5T has an unequivocal advantage when making videos, they are far less shaky than View 10 due to the EIS. Also, the sound recording on the 5T is slightly better. For videographers, the 5T is an unmissable option. However, in some scenarios, the View 10 do a better job. Honor View 10 runs EMUI 8.0 based on the latest Android 8.0 Oreo out of the box. On the other hand, OnePlus 5T runs Android 7.1.1 Nougat along with the Oxygen UI. However, OnePlus has already released Oxygen OS Beta 1 based on Android Oreo. Since both devices come with the Full view display there are on-screen navigation keys. A recent update on 17th January is rolled by Huawei that enables many additional features for the Face-unlocking technology. The significant changes are, now the display turns off when you are not looking at it, or AI Zoom, super-resolution photos. Additionally, Face unlock is another common feature. The View 10 shows notifications when you are looking at the display, another nifty AI feature. Moreover, it has a 3D Facial Animation feature similar to Apple’s Animoji. Honor View 10 is backed by 3750 mAh battery capacity and supports Fast Charging. Notably, Huawei offers an 18 Watts charger with the Indian unit instead of 22 watts provided in some other countries. Further, the OnePlus 5T packs 3300 mAh Non-Removable battery and supports Dash Charging technology. 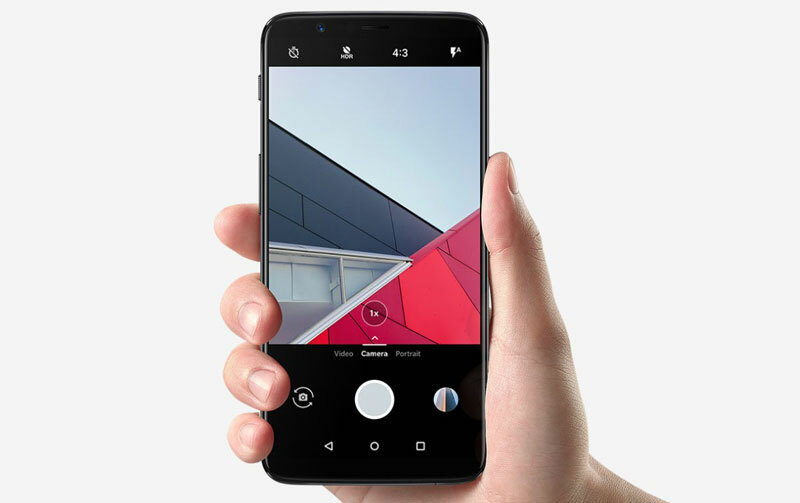 Consequently, Huawei View 10 has 12% additional battery capacity compared to the OnePlus 5T. Both of these smartphones include connectivity options like WiFi, Bluetooth, NFC, 4G LTE, VoLTE, USB Type C support and Dual-Sim etc. There is no conspicuous choice here, it’s a strenuous decision by all means. However, to simplify your decision making let me recommend which one to purchase. If you want a relatively lower price tag, better battery backup, expandable storage, want to try AI, a bit better Selfies the Honor View 10 is going to be your companion. For the love of speedy stock Android UI, enticing brand, better videos, lightweight, unmatched AMOLED display let’s buy the OnePlus 5T. Still, not settled, let’s settle things in the comments below…. Storage 128 GB Internal storage/256 GB via Micro-SD Card. 64 GB Internal Storage. OS Android 8.0 Oreo with EMUI 8.0. Android 7.1.1 Nougat (upgradable to Oreo 8.0). Rear Camera 16 MP + 20 MP Dual Rear Camera. 16 MP + 20 MP Dual Rear Camera (Telephoto lens). Front Camera 13 MP Front Camera. 16 MP Front Camera. Fingerprint Scanner Front Facing. Rear Mounted. Price Rs. 29,999. Rs. 32,999. Article Edited by – Kanuj. Post updated on 8th Jan 2018. Some addition points added.